The holidays are here, and we know how to celebrate in Mooresville! From a holiday light spectacular surrounded by exotic animals to a lighted flotilla of decorated boats, you’ll be sure to find a wonderful way to spend the holidays in Mooresville! Sunday-Thursday: 6 p.m. – 9 p.m.; Friday & Saturday: 6 p.m. – 10 p.m. Experience this spectacular display of lights as you drive through Zootastic Park. Last year the park had more than 3.7 million lights, and they add more every year! In addition to the light show, enjoy a S’mores pit, pony rides, petting zoo, Tiger and Giraffe feeding, pictures with Santa and the zoo’s baby animals, and more. Admission is $7.00 and proceeds raised go toward helping care for the zoo animals throughout the year. The Holiday Light Spectacular is an orchestrated light show with 115,000+ lights set to music. The show takes place on the lawn at Town Hall, 413 N. Main Street, every evening beginning at 5:30. It’s the perfect start (or end) to a night in downtown Mooresville. Walk to dinner before or after the show! Visit the unique small businesses in downtown Mooresville who will be offering open house activities, light appetizers, store specials & more! In addition, there will be a life size snow globe, a strolling barbershop quartet, carolers & more. 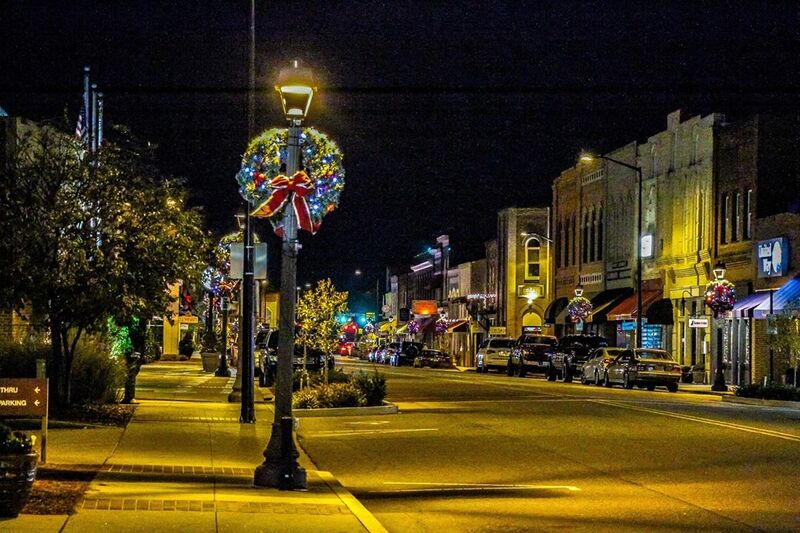 Bring your favorite people and enjoy kicking off the holiday season in the heART of Mooresville, along Main & Broad Streets. Imagine a parade of boats decked to the hilt with unimaginable lighting displays! Get your blankets, gather your families and find a perfect spot along the lakeside route to enjoy this spectacular holiday display! The motto is…”If It Floats, Light It”! Come on out and see what surprises this year will bring! LET DOWNTOWN DAZZLE YOU THIS HOLIDAY SEASON! Experience Santa Visits, Horse-Drawn Wagon Rides, Unique Shopping, Hot Cocoa, Popcorn, Cotton Candy, a Life Size Snow Globe & more! Wagons load & unload at the Mooresville Christian Mission (266 N. Broad St.), a donation of non-perishable food items or cash is suggested. Santa can be found in JF Moore Park at the corner of Main St & Center Ave. New this year is a life size Snow Globe that will be on Moore Ave. near Main Street. Popcorn, cotton candy & many other treats can be found along Main & Broad Streets. Enjoy refreshments, visits from Santa himself, door prizes, live music from local artist, a letters to Santa writing station and so much more! The perfect spot to pick up some unique gifts from more than 450 local vendors. Continuing the Light Up the Lake parade schedule, this parade starts at Blythe Landing (Cornelius) at 5:30pm, goes north to Ramsey Creek around 6pm and arrives at the final stop, the Duke Energy Explorium around 7pm. Food truck, Music and Santa will be there until 30 minute after the parade ends. Many viewing areas along the route! No admission fee but we do ask that you bring an unwrapped toy for Little Smiles! Irish dance and Christmas come together for the first time to turn an age-old tradition into an exciting Irish dance Christmas spectacular the entire family will enjoy! Featuring 20 of the world’s most skilled Irish dancers and musicians, Carol of the King brings an original inspiring Christmas story of love and salvation to life that transports the audience to a mystical time and place of heroes and redemption. The world- renowned Irish dance troupe performs lighting fast hard shoe rhythms and graceful soft shoe jigs to an original epic orchestral soundtrack featuring many Holiday favorites, while state of the art lighting and Christmas spirit ignite the stage into an explosive display of dance and music. The show takes place in downtown Mooresville at the Our Town Stage. Welcome Spring with these Fun Events and Activities! Spring is here and the warmer weather and longer days are the perfect time to take in some great events and activities around Mooresville. This fun evening event features wine and beer tastings at 15 downtown Mooresville businesses. The tastings event is $25 for advance tickets and $30 at the door. In addition, there will be musical acts inside and outside, as well as artists displaying and selling their works. The music and arts portion is a free event. To purchase tasting tickets online visit www.downtownmooresville.com/buy-tickets.html or you can purchase at downtown businesses. 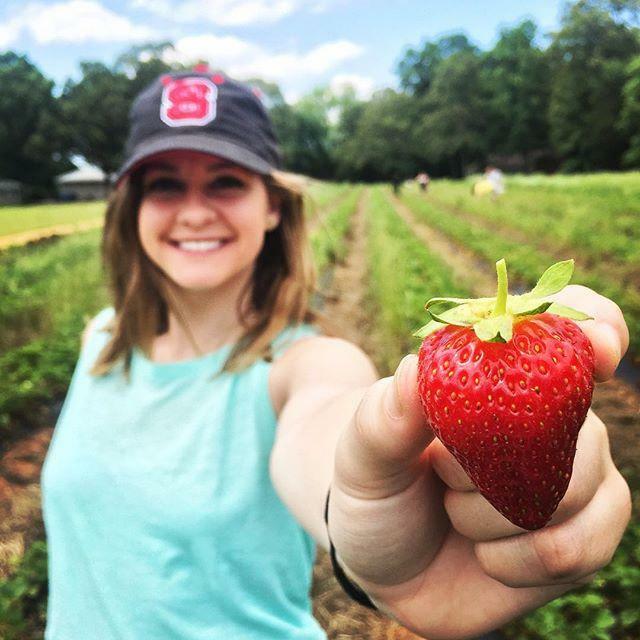 April 16 – Pick Your Own at Carrigan Farms If you want to experience picking fresh produce from the garden without the work of tending your own garden plot, head over to Carrigan Farms where you can pick your own fruit and vegetables. Asparagus kicks off the season, with strawberries following in late April or May (depending on the weather conditions). It’s great family fun and a learning experience for kids on how and where food is grown. This free event will feature beer, wine and hard cider tents, two live bands, food venders, a kids zone, raffles and prizes and more. A great way to enjoy beers from area breweries all in one place! Details at www.facebook.com/events/152875578719140/. April 29 – Dale Earnhardt Day The annual birthday celebration to honor the late Dale Earnhardt takes place at Dale Earnhardt, Inc.
May 3 – LangTree LIVE! This popular, 22-week concert series runs every Thursday from May to September, 7-9PM. Each week features a different musical act ranging from 80’s pop, alternative rock to the classic sounds of Billy Joel and The Eagles tributes. D9 Brewery will be on site each week at LangTree Live serving up the latest in craft beer selections. Be sure to get there early and visit LangTree shops and restaurants, and bring your chair to relax on the lawn and enjoy the show. As always, admission is FREE! The Race City Festival is a celebration of Lake Norman area arts & culture and is held outdoors along Main and Broad Streets in Downtown Mooresville. The Festival features family fun areas, hundreds of vendors, food, antiques, arts & crafts, kids areas, dancing, live entertainment, and more! About 200 vendors, two stages with live entertainment, two food courts, beer garden, kids games, face painting, street performers, mascots. free parking & free admission. Downtown merchants, eateries, art galleries and businesses will also be open. Race City Week in Mooresville celebrates everything racing! Events at race shops feature driver meet and greets, shop tours, and more. Race fans in town for the #CocaCola600 and #600Festival should plan a day in Mooresville, Race City USA! Check our event calendar for updated events during Race City Week. One of the most popular events during the #600Festival, the #Little600 gives fans a chance to watch drivers battle it out on the GoPro® Motorplex kart track for bragging rights. Past champions include Bubba Wallace and Cory Lajoie. Fans also have a chance for autographs and photos with the drivers. Click for more details. Enjoy swimming at the family friendly swimming area, or rent a water toy and get out on the lake! Hourly rentals are available for canoes, kayaks, paddleboats and standup paddleboards. Availability and hours are seasonal, please check the Lake Norman State Park webpage for details. Fall is such a beautiful time in Mooresville. The warm, but not hot, days are perfect for getting outside and enjoying our beautiful weather. And of course the fall festivals are in full swing! Here are a few festivals to get you in the autumn spirit. The animals at the Lazy 5 Ranch enjoy the cool weather, too, so it’s the perfect time to interact with them! The Fall Festival runs the month of October, where you can take your chance at the pumpkin slingshot, or pick out your own pumpkin from the pumpkin patch. There are lots of activities for the kids, including a giant corn box, a straw castle, as well as marshmallow roasting and painting activities. And of course be sure to take a horse-drawn wagon ride through the park and feed the animals. Some of the activities are only offered on weekends so check their website for details. What better way to get in the fall mood than to pick your own pumpkin straight from the patch? At Carrigan Farms they grow thousands of pumpkins every year. They also transport you to the pumpkin patch on a tractor drawn hayride. The whole experience is great fun for the entire family. You can also shop the farm market while you’re there for fresh apples and cider, colorful mums, local honey and more! Just a short ride south of Mooresville is the annual festival that celebrates life in medieval times. With games and rides, falconry exhibitions, jousting, giant turkey legs and more, it’s a highly anticipated event in the area. Open every weekend through November 19. Visit their website for tickets and details. If you want to get up close and personal with more animals, then head over to the Zootastic Fall Festival on October 28. In addition to seeing tigers, lemurs, and other exotic animals, you also get the chance to interact with some of them. They will have face painting, pumpkin decorating, and visits from Super Heroes. A fun day for the entire family! Check in with your artistic side at the Uncorked and Artsy festival in downtown Mooresville. This signature art walk and wine tasting is adding craft beers to the mix this month, as well as artist displays and live music. Tickets for the October 13 event are available online or you can purchase at the gate. A wonderful way to spend a crisp fall evening while supporting the Mooresville Arts Renovation Fund. Don’t miss the last Food Truck festival of the year in downtown Mooresville on October 14. This event has been a great success and draws big crowds into downtown. At least 10 trucks will be serving up everything from barbeque to soul food and everything in between, as well as beer from Mooresville’s own Ghostface Brewery. Tables and chairs are provided but go quickly, so you may want to bring your own chairs. If you attend any of these events, make sure to include us by using the hashtag #VisitMooresville in your social media posts. Your photos may even be selected to appear on our website! Have fun and prepare to fall in love with Mooresville!